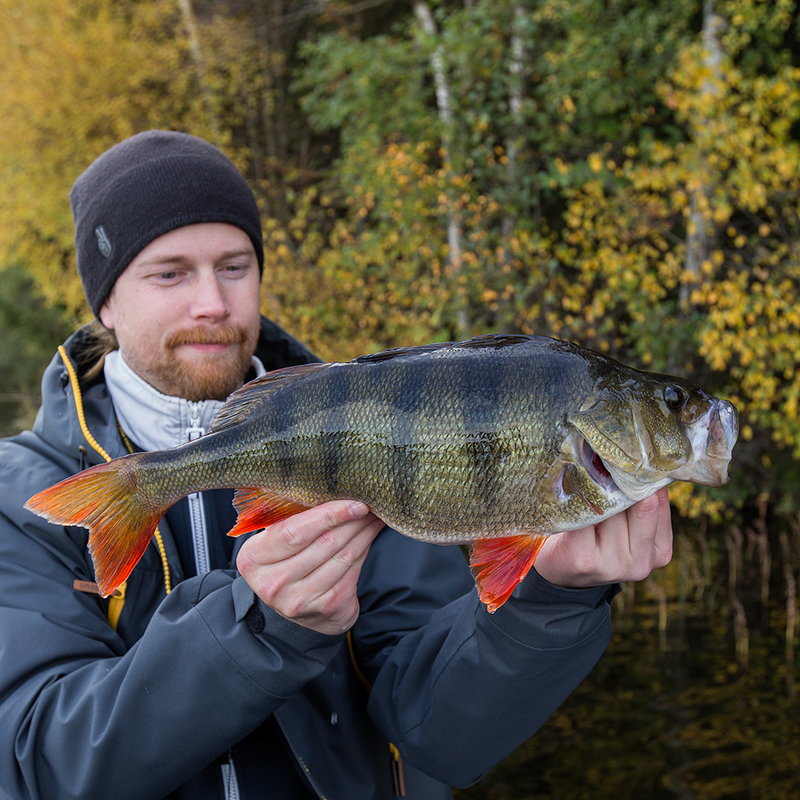 Fishing in the larger lakes around Alingsås can be rewarding, but also difficult! Mjörn, Anten and Sävelången are all big lakes that take time to learn. If you are new to these lakes, chances to succeed is much greater with a guide, and even if you have fished here your whole life there are always new methods and strategies to learn. By hiring me you save both time and energy, just like with any other professional service. Except for the fishing day itself, you also get knowledge and experience that would have taken many hundreds of hours to gather yourself. I’m an allround fisher with vast knowledge in most areas. Fishing for me is much about the challenge, therefor I like to change things up and never get stuck in a specific method, species or lake. I know most waters in the area, but prefer to guide on Mjörn, Anten and Sävelången where chances for a successful fishing day are greatest. Because I work as a writer and photographer for Fiskejournalen and Allt om Flugfiske I have to know a lot about everything from fish behavior to specialized techniques. I have written articles about e.g. trolling, float trolling, bottom bouncing, spin fishing, angling, equipment, rigs and techniques. The boat I’m using is a custom built Rocad 498 made for three people. It’s the perfect boat for lakes the size of Mjörn. 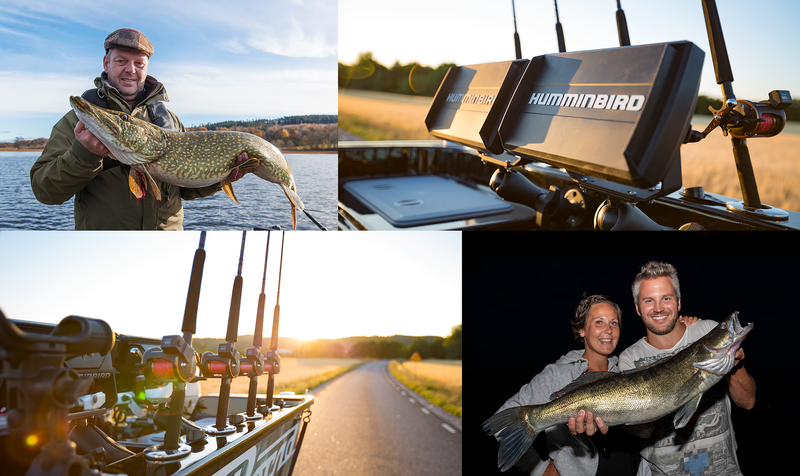 My electronics are a Humminbird Helix 10 G2N and a Humminbird Helix 9 G2N. In the front I’ve got a Minn Gota Terrova 55lb with I-pilot, and in the rear a new Honda 50 HP. I’ve got rods and lures for almost every method, except fly fishing. You can either hire equipment from me, or use your own. I also got life jackets, clothing for colder conditions and a grille if you would like me to cook for us during the day. More information is available under “prices”. The day can be customized to your preferences, but below are a couple of popular packages. Vertical cocktail – 4 hours of bottom vertical for zander followed by 4 hours of pelagic sharpshooting for zander and/or pike. A review of the sonar is included. Raw power – 8 hours of trolling for pike where I combine lures and speeds for quantity aswell as a chance for a 20 pounder. Bottom perch – 3 hours of spin fishing for perch at first light followed by 5 hours of bottombouncing in search of a big specimen. Summer zander – 5 hours of spin fishing followed by 3 hours trolling. Winter pike – 8 hours of angling from the ice on one of the larger lakes. I can provide transport to and from Alingsås or Gothenburg central station, aswell as Landvetter airport. A part of my job is to make the experience as easy and comfortable for you as possible. I often cook for my customers. 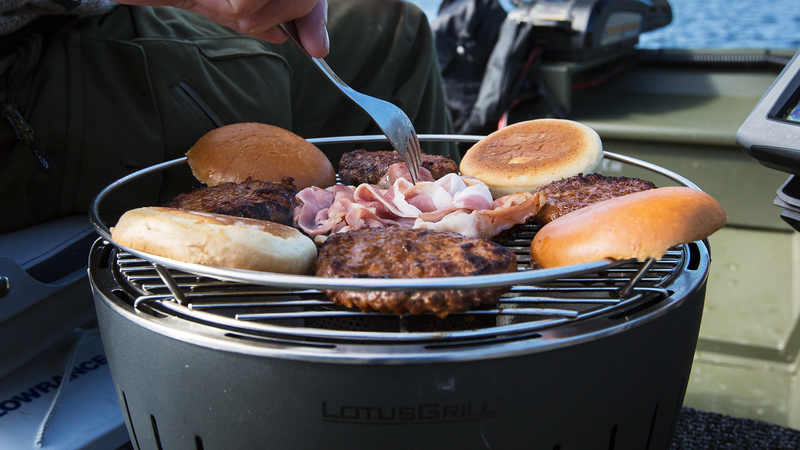 During warm summer days a cold and fresh chicken salad is a good choice, but in cold conditions it’s always refreshing to cook food over an open fire or on a muurikka. I’ve also got a grille that’s safe to use inside the boat if you don’t want to lose any fishing time. After watching fishing clips on youtube all winter our need to fish for pike was overwhelming. With a couple of blank sessions I decided to contact Joakim. We met up an early morning in May 2018 and even tho the lake was like a mirror with a forecast of sun and clear skies, Joakim had high hopes of a great pike session. We got fish on at the first spot and after that it kept biting. We landed 10 pikes with a stunning 103 cm and 8 kilo fish on top. The best part was all the advice we got and that we didn't have to worry about anything other then casting. Joakim handled the boat and supplied us with appropriate lures and good food. Calm water, an amazing sunset and a 4 kilo zander safely netted with precision thanks to our experienced guide. Magical!